For a take-off weight of more than 500 grams, you must complete drone insurance. Maximum flight altitude: I am currently not aware of any restrictions on the maximum flight altitude. Maximum horizontal distance and FPV: You must always be able to recognize your drone with the naked eye. Operation of drones outside visibility must be authorized by the authorities. The use of video glasses is allowed with a spotter, which stands directly next to the pilot and can intervene directly. Compulsory insurance: An insurance for your drone is required from a take-off weight of 500 grams. The policy must cover damage of at least 1 million francs. Maximum take-off weight (MTOW): The maximum take-off weight for private flights is 30 kilograms. Heavy drones may only be operated with an authorization. Distance to airports: In Liechtenstein, you have to keep your copter 5 kilometers away from airports. Other safe distances: A distance of 100 meters must be observed to gatherings of people (24 persons or more). I do not know any further safety distances. Always make sure that you do not endanger anyone with your flight maneuvers. Flight bans: The municipality of Balzers is an area with a flying ban. Flight approval: An approval is required as soon as the resulting photographs are to be published. Time of operations: I do not currently know anything about a restriction on night flights. Specific regulations: The operation without permission is only permitted in the wild nature if there are no gatherings of people (24 persons or more). Regulations for commercial pilots: Commercial pilots must obtain an approval. 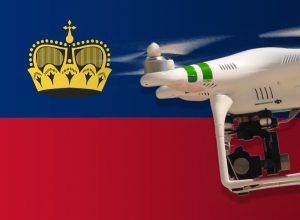 We have researched the listed drone regulations for Liechtenstein to the best of our knowledge. We can not guarantee the correctness of the information. If you want to be on the safe side, please contact the competent aviation authority. Alternatively, you can also ask the embassy in your country for further information about the regulations. Please leave us a comment when you receive news and/or gain experience with your copter in Liechtenstein!